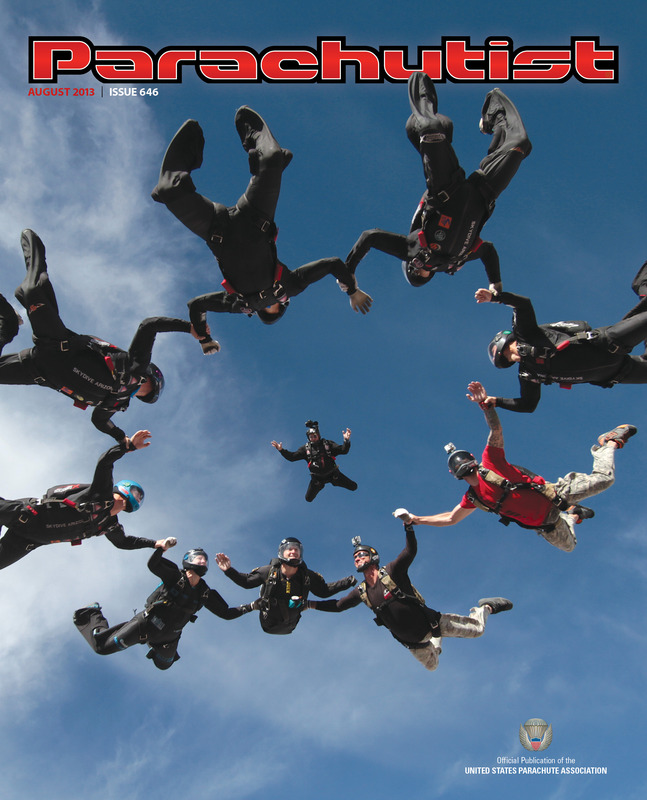 Parachutist Cover – August 2013! I would like to thank Parachutist Magazine for utilizing one of my Todd Love photographs for the August 2013 cover spot. It depicts Todd doing 9-way over Skydive Arizona. This entry was posted in Arizona Airspeed, Arizona Arsenal, AXIS Flight School, Cover / Featured Photo, Formation Skydiving, Go Pro, Military, Performance Designs, Photography, Publications, Skydive Arizona, Skydiving, Todd Love, UPT, USPA Parachutist by niklasdaniel. Bookmark the permalink.